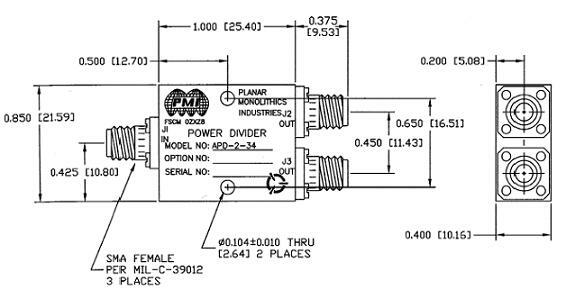 PMI Model APD-2-34 is a two way power divider featuring high isolation, low insertion loss and low VSWR. Designed for high reliability. SIZE 1.00" X 0.85" X 0.40"